Feel like throwing a Cinco de Mayo Party this year? Tired of only serving margaritas and beer? Why not have a mexican themed feast paired with some of your favorite Claiborne & Churchill wines? 1.Put the diced mango, red onion, jalapeño and cilantro in a medium bowl. Toss with lime juice. Enjoy! 1. Place oven rack in upper-middle position and heat oven to 500 degrees. 2. Cook bacon in 12‑inch nonstick skillet over medium heat until crisp, 7 to 9 minutes. Transfer bacon to paper towel–lined plate. When bacon is cool enough to handle, chop fine and set aside. 3. Season jalapeños with salt and place cut side down on baking sheet. Bake until just beginning to soften, about 5 minutes. 4. Remove jalapeños from oven and reduce oven temperature to 450 degrees. When cool enough to handle, flip jalapeños with their cut side up. 5. Mix cheddar, Monterey Jack, cream cheese, cilantro, panko, egg yolk, lime juice, cumin, and bacon together in bowl until thoroughly combined. 6. Divide cheese mixture among jalapeños, pressing into cavities. 7. 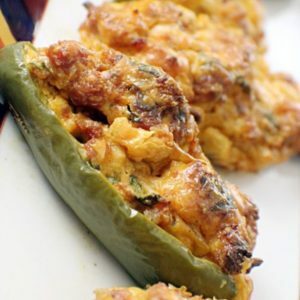 Bake jalapeños until tender and filling is lightly browned, 9 to 14 minutes. Let cool for 5 minutes. Serves 6-8. 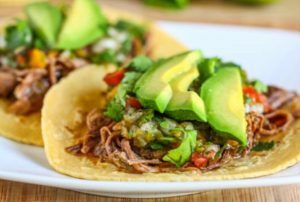 Cut pork shoulder into large 3-4 inch chunks, removing any excess fat. Combine all other ingredients in slow cooker. Cover and cook on high for 4 hours or until very tender. When tender, pull apart with a fork. 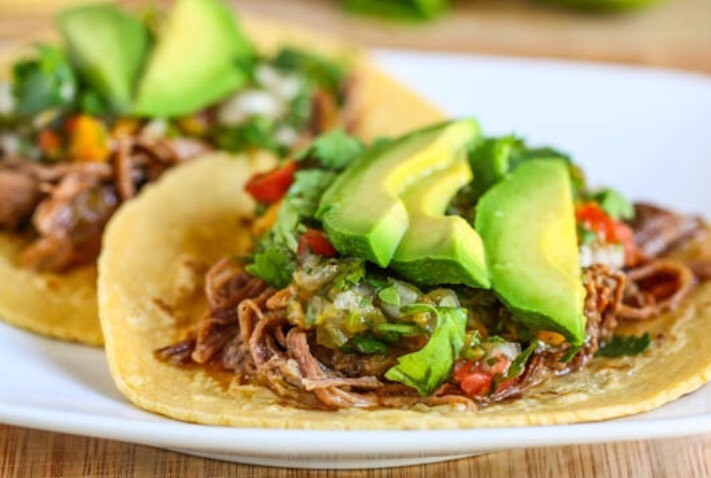 Serve on warm corn tortillas and top with onions, cilantro, avocado slices and lime juice! We are excited to announce our 2015 PortObispo dessert wine is now available just in time for Valentine’s Day! 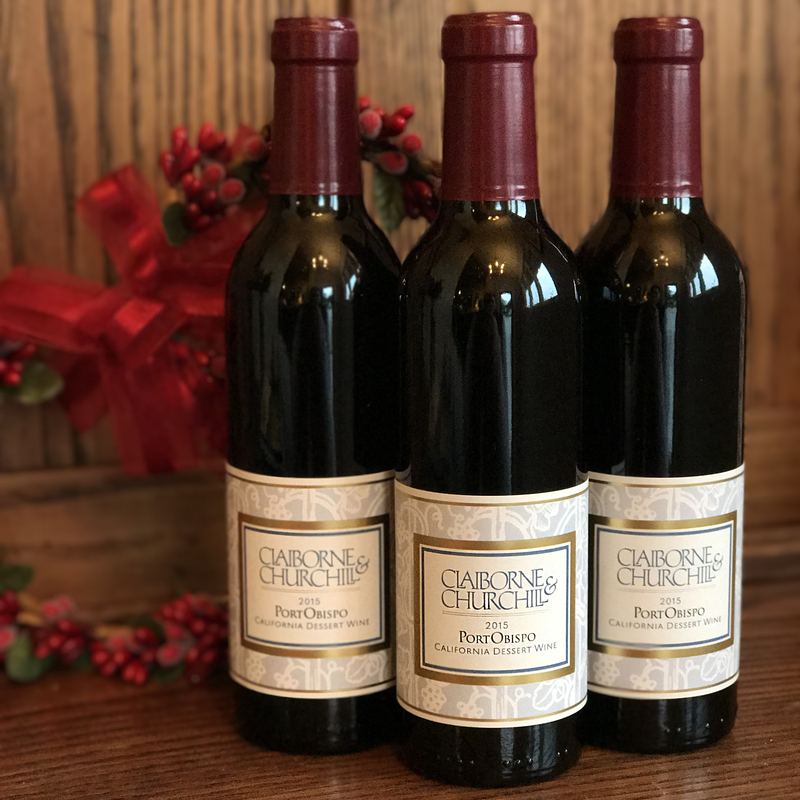 Grab a bottle here to share with your special someone or to end the meal at your next dinner party. We make our PortObispo in the traditional fashion, vigorously fermenting ripe red grapes until the sugar level has dropped to around 6%, and then fortifying the wine with grape spirits to an alcohol of 18%, at which level the wine stops fermenting and remains sweet. The wine is then aged for 15 months in well-seasoned oak barrels. There are many occasions when one can enjoy a glass of this smooth and balanced (and downright yummy!) 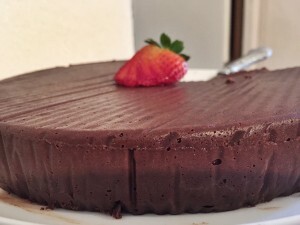 PortObispo, but the classic food pairing is with a rich chocolate dessert. Poach crisp winter pears in a mixture of PortObispo, water, little orange juice, splash of brandy, little sugar, cinnamon stick, and a few cloves. Serve with a dollop of whipped cream! Butter four large muffin tins or ramekins and dust them inside all over with cocoa powder. Melt the chocolate and buttering a pan over hot water, stirring until smooth and blended. In a separate bowl, whisk the eggs and sugar until fluffy. Gently fold in the chocolate-butter mixture and then the sifted flour. Pour into tins or ramekins and bake until the tops are cooked slightly firm to the touch, but the insides remain hot and molten. This can vary from 8-15 minutes. Turn out onto dessert plates and garnish with a scoop of vanilla ice cream with fresh berries. Enjoy! 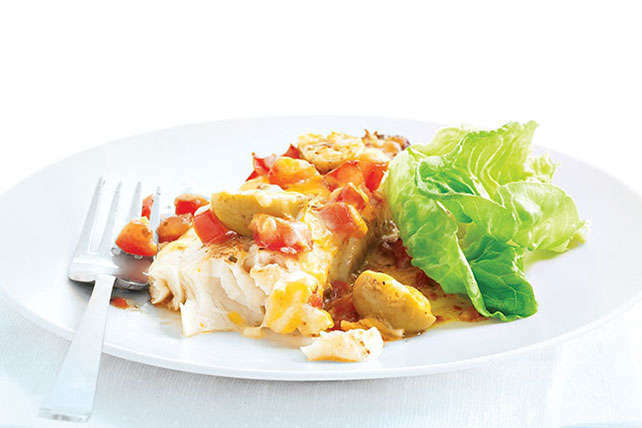 As the summer approaches, we wanted to share this delicious Tilapia Vera Cruz recipe with you! It was created by Don Reynolds who is a retired chef and former Claiborne and Churchill employee. This dish is quick and easy to make, and most importantly pairs perfectly with any of our white wines. Make sure to grab a bottle from our tasting room or here at our website. In a large skillet heat 3 tablespoons of olive oil over medium-high heat. Add the garlic, onion, capers, olives and jalapeno. Sauté until soft for 1-2 minutes. Add the tomatoes, cumin, salt and pepper and simmer for 10-15 minutes. Pat dry each tilapia fillet and flavor with salt and pepper. In another large skillet heat the remaining 2 tablespoons of olive oil and gently swirl to coat the pan. Gently place fish into the oil and sear for 2-3 minutes on each side until golden and flakes easily. Place cooked fish on a serving plate and spoon the sauce from the pan over the fish. 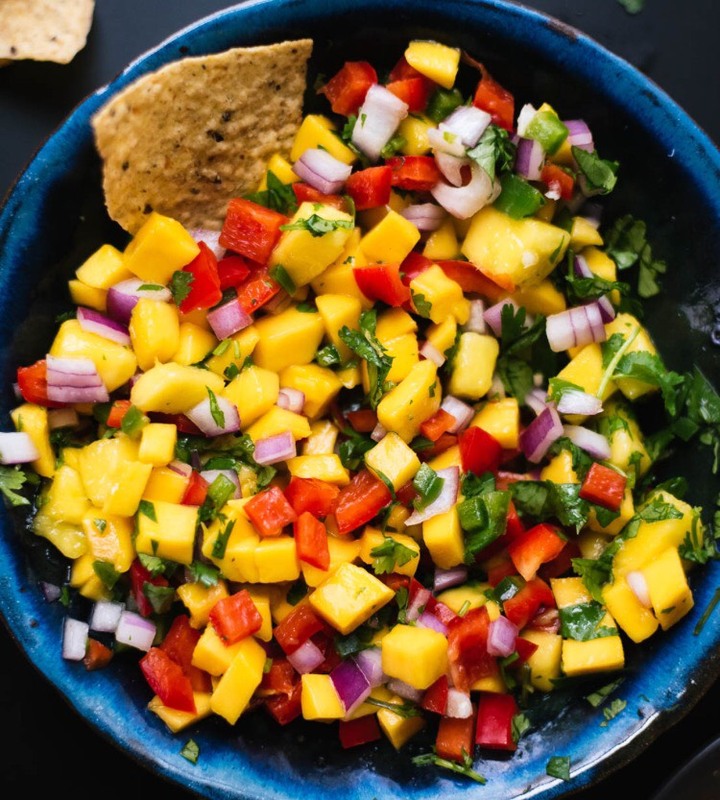 Squeeze a wedge of lime juice over the top and garnish with a sprig of cilantro. Serve with Spanish rice and Cuban beans. PAIR WITH ONE OF OUR WHITES AND ENJOY! 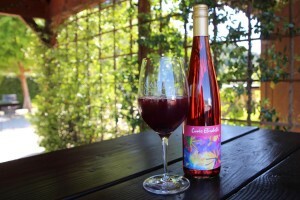 With the upcoming release of our 2015 Cuvée Elizabeth Rosé of Pinot Noir and 2014 Malbec, we decided to do some taste testing to find our favorite Rosé Sangria. Brook Thompson, our Wine Club Manager, made three different recipes for us to try. Below is the recipe for the undisputed winner. 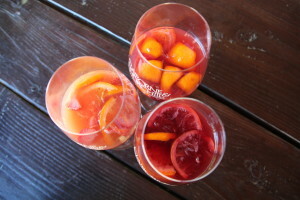 This delicious Rosé Sangria will be perfect for the upcoming spring and summer months! The dark color from the Malbec and pomegranate juice will set it apart from all the others. Let us know what you think of our recipe and feel free to share your favorite recipe with us! Mix all ingredients together in a large pitcher. Continue stirring until sugar dissolves. Cover pitcher and refrigerate for 24-48 hours before serving. Add ice to pitcher upon serving. For added sweetness, add frozen orange/pineapple juice cubes in lieu of ice. We are excited to announce the release of our 2013 PortObispo! Port or “port-style” wines have always been a perfect accompaniment for a wide range of desserts and after-dinner snacks, from artisan cheese plates to savory cheesecakes and dark chocolate. We classify our PortObispo as a California dessert wine, rather than a port since only sweet, fortified wines that are aged and bottled in the Douro region of northern Portugal can technically be named port -or- porto. When it comes to port, there are various methods and styles to making this classic wine. For instance: tawny ports age extensively in barrel, sometimes as long as 20 years. As it matures, the wine develops deeper, more complex characteristics while its color fades to a brownish, tawny hue. They range in sweetness, from sweet to medium dry. Ruby ports, known for its deep, ruby color, traditionally spend less time in barrel so it can retain more of its natural color, and sweet, fruity characteristics from the grapes. Though our PortObispo is produced in more of a traditional ruby port style than a tawny port style, it is definitely influenced by the California-style of winemaking. Rather than, say, Touriga Nacional and Tempranillo, we picked late-harvest Pinot Noir from the Edna Valley and Merlot from Pozo Valley to make the 2013 PortObispo. The ripe and juicy fruit is punched down several times a day, before and after fermentation to achieve maximum color and flavor. We then add wine spirits in sufficient quantity to stop the fermentation while the wine is still sweet (8.5% residual sugar/18.4% alcohol). The wine then barrel ages for 15 months in neutral French oak before bottling. The end result is a bottle full of delightfully sweet dessert wine. 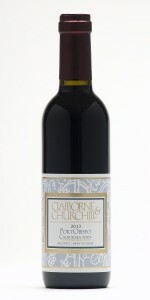 Enjoy a glass of this smooth and balanced PortObispo with Stilton cheese or a flourless chocolate cake. In fact, our very own Robyn Tanner was kind enough to share a recipe for you to try out. Enjoy! Preheat oven to 325 degrees. Grease 9 inch springform pan and line bottom with parchment paper. 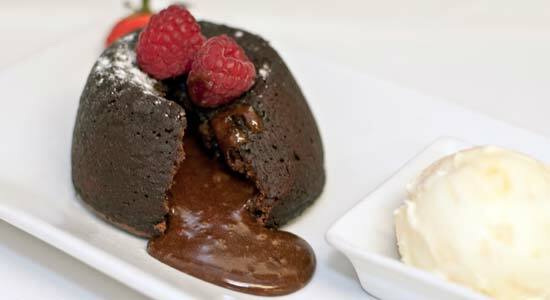 Melt chocolate, butter and coffee together in the microwave for 1 to 3 minutes, stirring frequently until smooth. Using a stand mixer, whip eggs together for 5 to 10 minutes on high until very thick. Gently fold the eggs into the chocolate mixture using a third of the eggs at a time. Combine until no streaks remain. Pour the mixture into the prepared springform pan. Cover the bottom of the pan with 2 large squares of tinfoil and rest inside a larger roasting pan. Pour boiling water into the larger roasting pan until it reaches half way up the sides of the cake pan. Bake for 18 to 20 minutes, or until a thermometer inserted an inch away from the pan’s edge reaches 140 degrees. Do not overbake! Remove the pans from the oven and let sit together for 45 minutes. Remove cake pan from roasting pan and let cool on a wire rack for 2-3 hours. Run a sharp knife along the cake’s edge to separate it from the rim. Refrigerate overnight. Before serving, remove the cake from the springform pan, slice carefully and garnish with powdered sugar and strawberries. Thanksgiving and other holiday meals have always been interesting for those who care about wine-and-food pairings. The wide array of different spices and sweetness levels at the traditional Thanksgiving dinner table presents challenges, and probably no one wine can solve the problem alone (though many would propose Dry Gewürztraminer as a solution). However, some wines (Cabernet, Petite Sirah, Sauvignon Blanc) would likely be ruled out altogether. 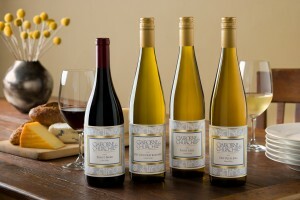 At the Thompson’s table, where ten or twelve people of different ages and different tastes are seated, they solve the problem by opening one or two Alsatian-styled wines (Gewürztraminer and/or Riesling) and a Pinot Noir. These represent the most adaptable and food-friendly wines we know! The Thompson’s have served this Sweet Potato Soufflé at their Thanksgiving dinner for over thirty years. We think it adds a light and elegant touch to a meal that can otherwise get a little heavy. Prepare the sweet potatoes by boiling them in water, peeling off the skin and chopping them into chunks, or by baking them in the oven, halving them and scooping out the pulp. In a Cuisinart or other food processor puree the sweet potatoes along with the brown sugar, melted butter, egg yolks, lemon rind and orange juice. When completely blended pour into a buttered baking or soufflé dish. In another bowl beat the egg whites until stiff, then fold them gently but thoroughly into the sweet potato puree. Bake in a 350º oven for 45 minutes. 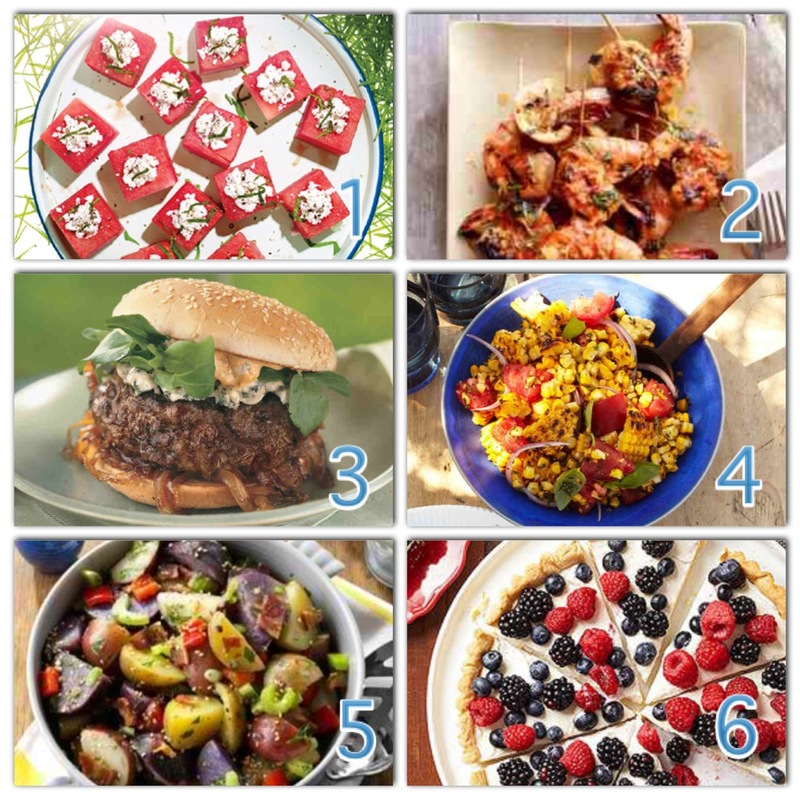 Recipes for Your July 4th Celebration with Red, White & Pink Wine Pairings! 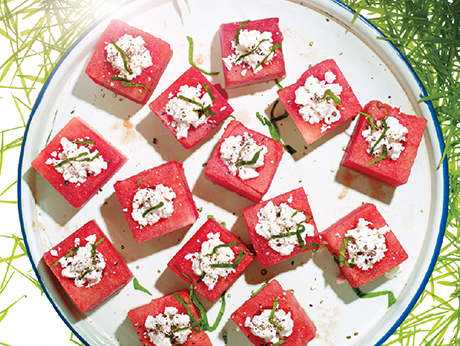 These tasty and refreshing feta stuffed watermelon blocks would pair wonderfully with our “Cuvée Elizabeth” Dry Rosé. How about some spicy lemon shrimp skewers to heat things up? 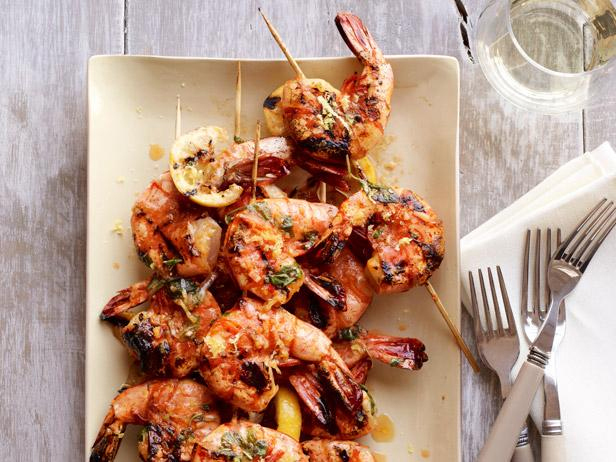 Our Dry Gewürztraminer would be a great compliment to these savory shrimp. 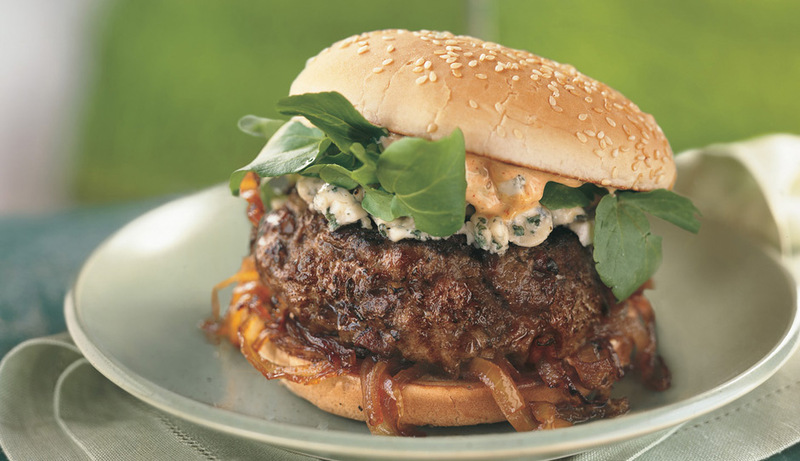 Just in case you didn’t get enough spice with those shrimp, you better try this amazing andouille and beef burger with spicy mayo and caramelized onions. Pair with our cool-climate Syrah. 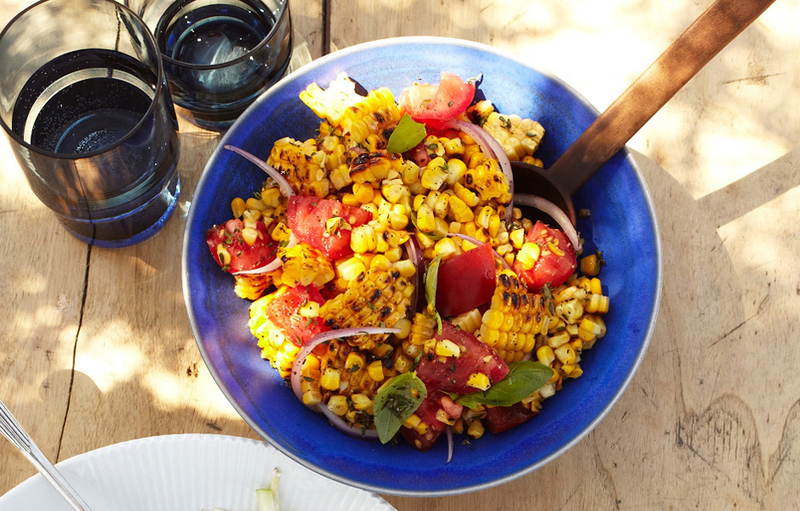 Now we try to round each meal out with some type of veggie, and this charred corn salad with basil and tomatoes is the absolutely delicious! How about a little Dry Riesling with this guy? 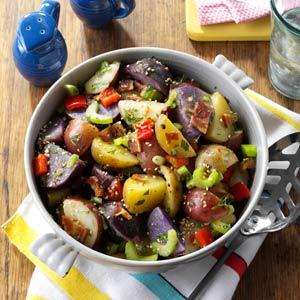 This red, white and blue potato salad is a patriotic twist on an American classic. Our “Classic” Pinot Noir is flavorful yet delicate enough to pair with potatoes. No meal is complete without dessert! 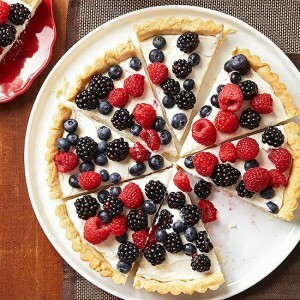 Try out this berry tart with lemon cookie crust and top it off with a little “Douce Amie” Sweet Orange Muscat. 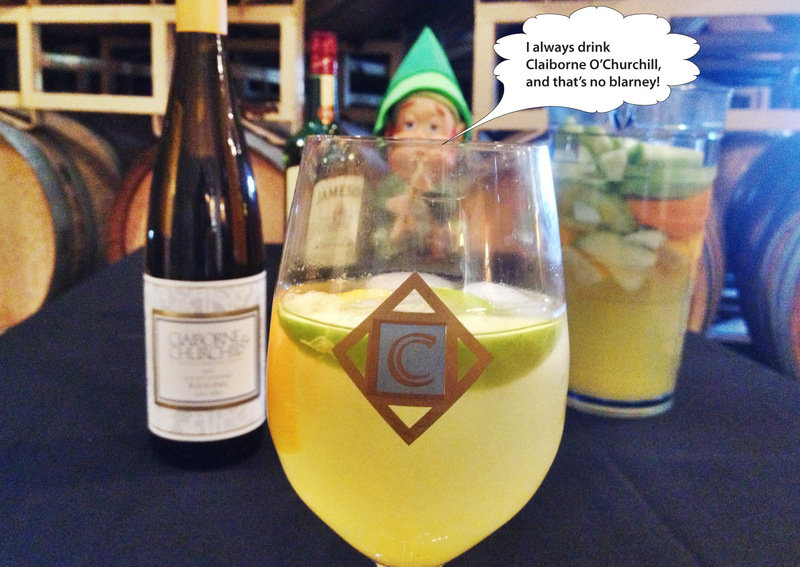 Just because it’s St. Paddy’s Day doesn’t mean you can’t indulge in a little Sangria with an Irish twist! 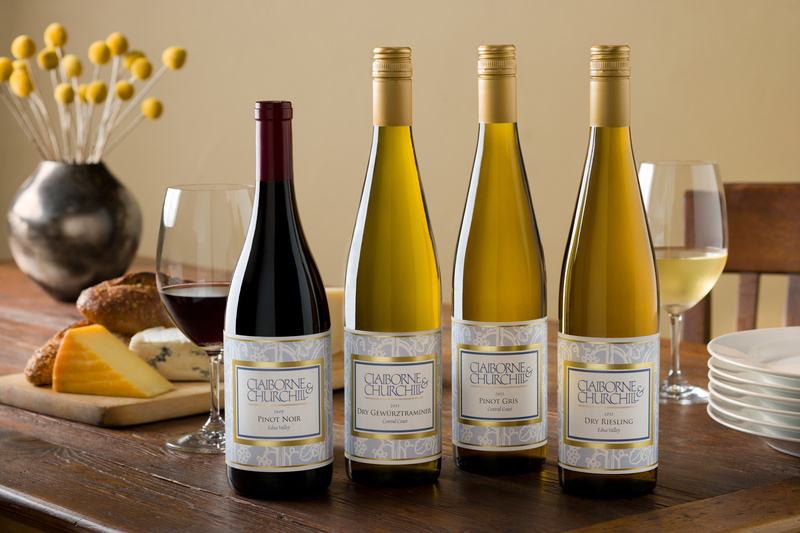 Grab a bottle of your favorite C&C Riesling (Dry or Semi-sweet) and add it to this simple and tasty recipe below. This is a perfect substitute for the classic Stouts and Irish Whiskeys. 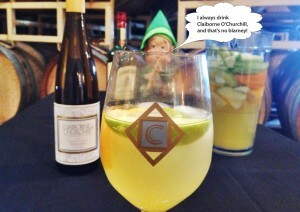 Pour the wine into a pitcher and squeeze the juice from the lemon and orange wedges. 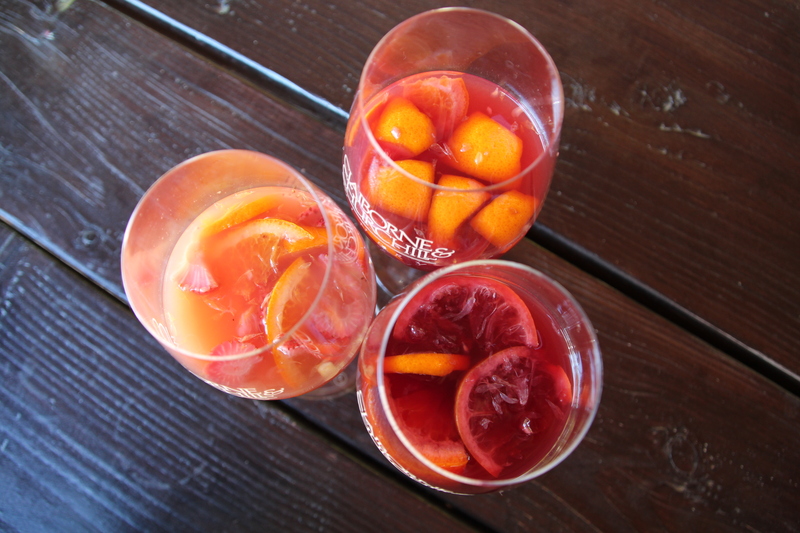 If you prefer a sweeter Sangria, we suggest using our semi-sweet Riesling. Toss in the wedges of orange, lemon and apple and add sugar and whiskey. Give it a good stir and chill overnight or at least a few hours. Add club soda and ice just before serving. Enjoy!